Ranbir Kapoor started off in Bollywood as an assistant director and made his debut as an actor in the film Saawariya in 2007. Since then the actor has managed to make a huge fan base and is loved by his fans despite all the controversies surrounding him. 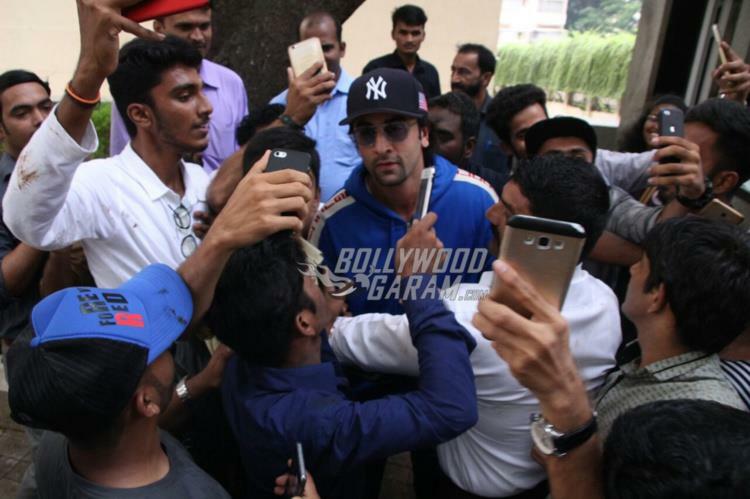 As the Wake Up Sid actor turned 35, Ranbir was greeted by fans in Mumbai on September 28, 2017. 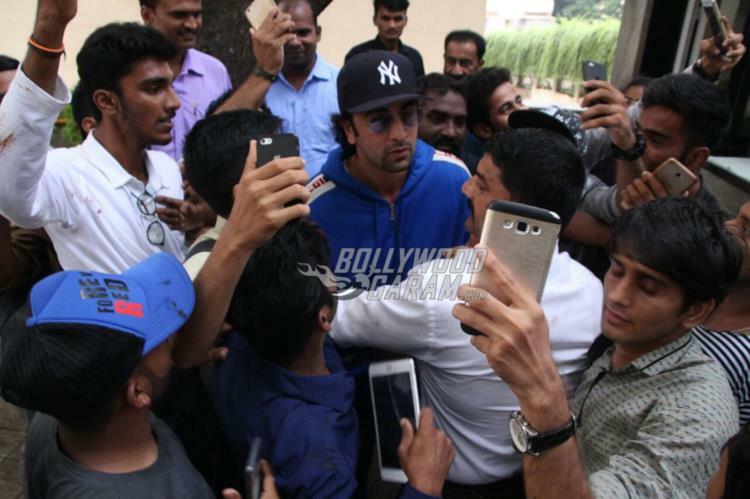 The Rocket Singh star was mobbed by fans, who showered him with cakes and gifts outside his residence. 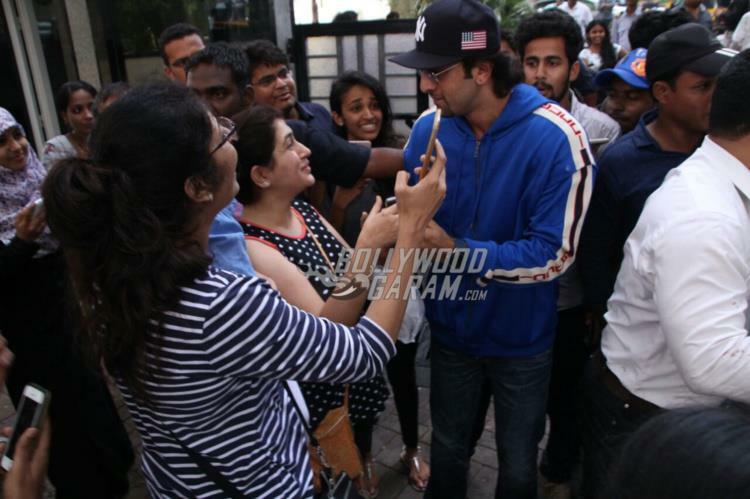 The actor was happy to pose for selfies and signed autographs and looked dapper in a pair of denims and a blue jacket. On the work front, the actor has almost completed work on the upcoming biopic on Sanjay Dutt. 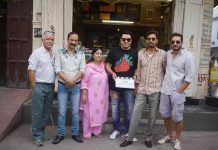 The film also stars Manisha Koirala, Paresh Rawal, Sonam Kapoor and Dia Mirza. Ranbir for his role as Sanjay Dutt worked hard on his looks and impressed everyone with his transformation. 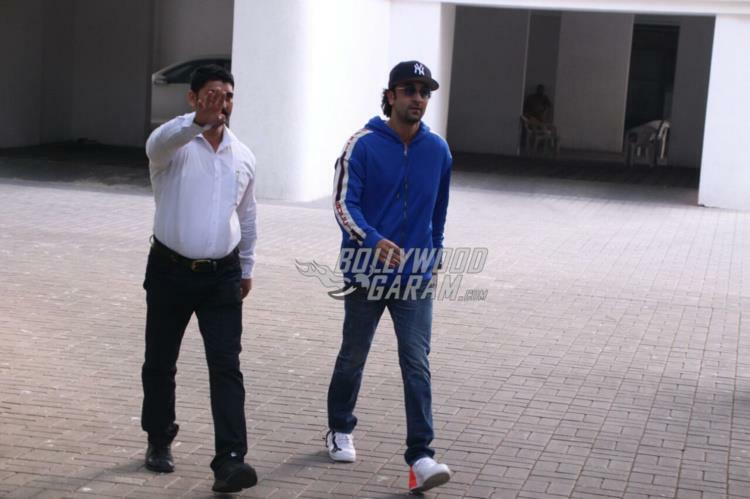 Exclusive photos of birthday boy, Ranbir outside his residence!